Shaking up your workout is an important part of balancing your training and avoiding plateaus in your routine. As the temperatures drop, and you feel the need to shift your workout towards the comfort and warmth of indoors, there is no better time to stray from your go-to, whether that be running, yoga, or lifting. Cross-training is important for a whole host of reasons. First off, rotating your workout can prevent injury. When your only exercise is running, you’re going to put stress on the same muscles and joint, like your hamstrings and knees. Cross-training helps to space and spread the stress of exercise, reducing your frequency and rate of injury. 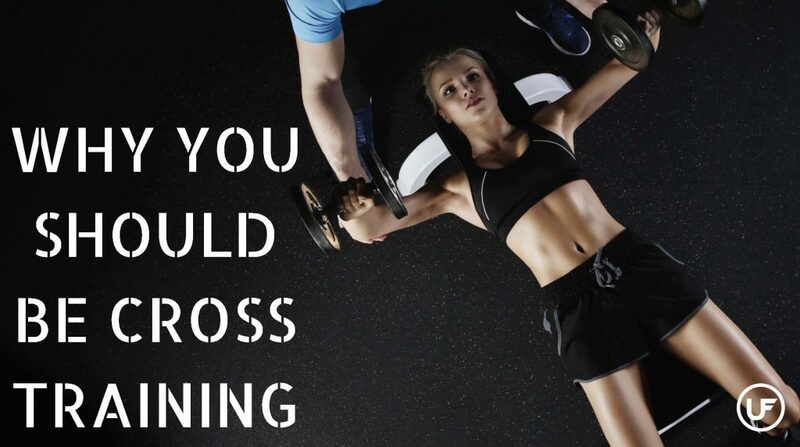 Cross-training is also beneficial in terms of increased weight loss. Research has shown that combining two or more forms of exercise can significantly enhance weight loss. This combination can be as simple as twenty minutes on the elliptical followed by twenty minutes of cycling. This is especially important for avoiding plateaus in weightloss. Improvement in overall fitness is another benefit of cross training, particularly in terms of building strength and endurance. This typically comes in the form of incorporating muscular fitness development and aerobic conditioning. If you’re used to hitting the mats for lifting, try a yoga class once a week; if you’re devoted to treadmill and elliptical cardio, try taking a few days to incorporate weights and strength training. Rounding out your fitness program is crucial to rounding out total body fitness and endurance. Start the day off right with energizing sun salutations where you will cultivate a sense of clarity and peace. Alison teaches this class at 7:30 a.m. on Thursdays. It may be too cold to bike outdoors, but adding one day of spin in our Cardio Lab can help switch up your routine. Checkout CardioLab Monday mornings or Spin Friday mornings. Whether this is #powerful, fatbell revloution, U.Fit boot camp, or yoga, workout classes bring you together with other people to push yourself, and the instructor is sure to inspire you to bring new elements to your usual workout. Remember to shake things up, and consult Union Fitness’s calendar and trainers for more ideas on how to fit cross-training into your routine!